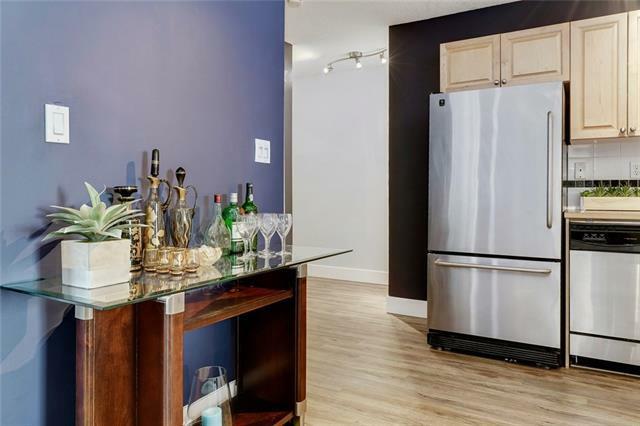 SELLER WILL PAY ONE YEAR OF CONDO FEES!!! 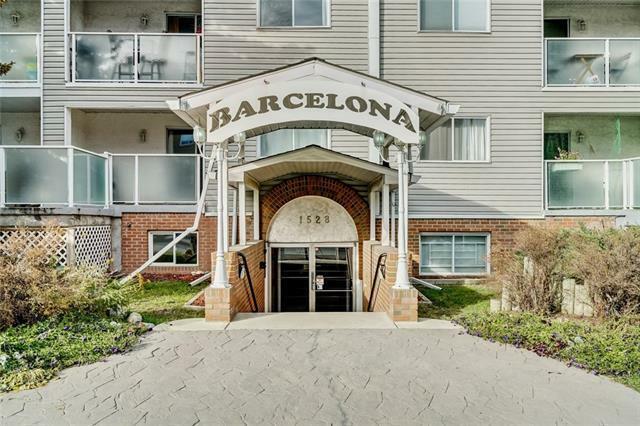 This BRIGHT, QUIET, TOP FLOOR 2 bedroom updated condo features a wood burning FIREPLACE, new vinyl plank flooring, stainless steel appliances, french doors into the master bedroom with large windows and an UNDERGROUND PARKING stall!! 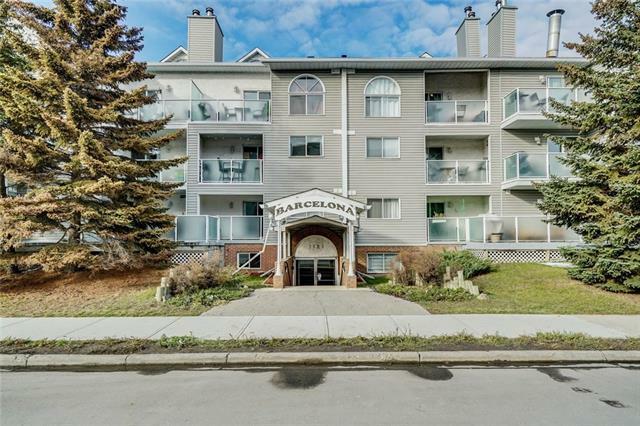 Located within blocks of the Sunalta LRT Station, parks, cafes, boutique shops, restaurants and the Barcelona building has a Walk Score of 94%. Nestled into the top NE corner of the building, this unit shares a private hallway with only 2 other units overlooking charming heritage homes with big trees & the completely private balcony faces onto the side of a building with downtown "realtor views";) This unit does not overlook 11th Ave or the back ally! Barcelona is dog friendly and well managed by Grey Stone Management. 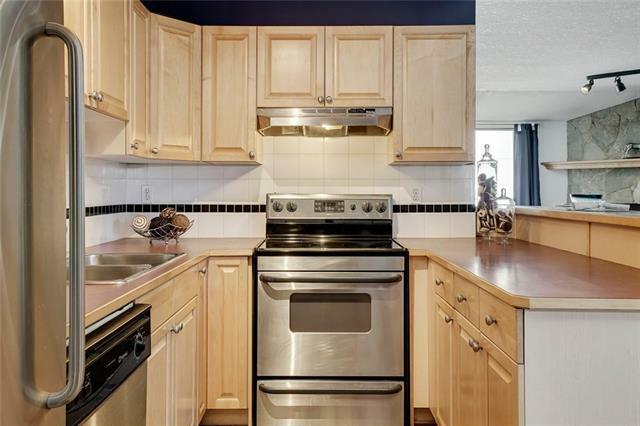 Call your favourite Realtor to view!